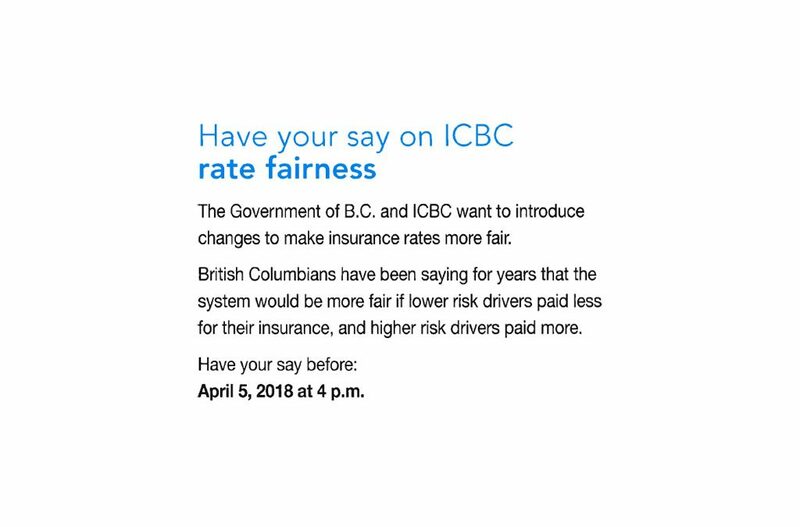 BC Government is looking for customer feedback about rate fairness at ICBC, have your say! - Dave Dale Insurance Agencies Ltd.
March 5, 2018 – The BC Government along with ICBC has announced they are engaging with the public to get feedback on changes to ICBC to make insurance rates more fair. Changes currently under consideration would result in 2/3 of current drivers paying less and 1/3 of current drivers paying more due to their driving and conviction record according to the BC Government website. You have an opportunity to let the government know how feel about the proposed changes. The deadline to submit your input is April 5, 2018. Use the link below to have your say!